Buffy Summers is taking the fight to the mayor, but it's Willow who is the one that gets caught in the crossfire. On Buffy the Vampire Slayer Season 3 Episode 19, the Scoobies were tired of waiting until Mayor Wilkins and Faith's attack on Ascension Day. For Buffy to focus on her future, she needed to eliminate one of her remaining threats. Unfortunately, her haste required a lot of payments. If you're a fan of Willow, "Choices" is the episode for you. Let's rewatch now to find out why. Some of Buffy the Vampire Slayer's best moments were when the characters dealt with real-life issues as teenagers. For as much as they fought demons/vampires, they still had a future to focus on in between going to classes. Having the Scoobies discuss their post-high school prospects felt very relatable. High school is such a different world. You don't feel the reality of adulthood until you start getting closer to graduation. All of the Scoobies faced their biggest decision yet since it would impact them for years to come. Xander not attending university suited his character structure. He never was the best student and he didn't care much for class. Plus, he seemed so adrift from a directional standpoint. What would he have even studied? When it came to Willow, on the other hand, I wish that she had accepted one of her offers outside of Sunnydale. Don't get me wrong, Willow is one of my favorite characters and I love her witchy plots. But, she had so many opportunities to explore the world and learn from the best in her field. Harvard, Oxford, Yale, MIT, and all the universities who sent her acceptances are great schools. We tend to forget that Willow was supposed to be this genius that people campaigned for. If she had taken a different path, she could've cured a disease or invented something. She saved the world on many occasions, so she obviously made the right choice in the grand scheme of things. Still, just imagine if this were the DC Universe and there was another Earth where Willow chooses a different path. What could she have done in it? Even though Cordelia's retort to Buffy dripped with vile and disdain, I don't hold it against her. On one hand, she wanted to knock Xander down a few pegs after the whole cheating debacle. But on the other hand, Cordelia also felt devastated about not being able to go to the universities she got accepted to. We won't find out until Buffy the Vampire Slayer Season 3 Episode 20 that her family lost all their money. However, the twist of her working at the retail store clued us in as fans that something was amiss in Cordelia's world. She used to make jokes about manual labor, so if she needed a part-time job then it must've been serious. It's not unreasonable that she lashed out at someone when she herself was unsure about her future. However, her words were still mean and cruel. With all things said and done, let us never forget Cordelia's savagery. Buffy shouldn't have turned down Northwestern University. Even with her obligations and calling, her life is her life. Both as a Slayer and as a teenager. She reasonably could've done both Slayer and university duties at her new school. Come on, there had to have been vampires and demons across the country, right? The choice to attend UC Sunnydale was a noble decision, but she had the power. Giles was onboard, Joyce supported her leaving, and the others would've had to deal. No one would've stopped her if she decided to go. When it came to the mayor, only two outcomes were possible: kill the mayor and survive or die during Ascension Day. If she was victorious, he wouldn't be a problem and she could go to the school of her choice. If she lost ... Well, she would be dead. No concerns about school there. I loved the angle of Willow being behind enemy lines during the case of the week. You didn't know if Mayor Wilkins and Faith would hurt her as the prisoner or if she would conquer all. Obviously, it ended up being the latter as Willow's natural luck persevered. And the Scoobies needed to get the upper hand somehow since they knew so little of their enemy. During Buffy the Vampire Slayer Season 3, the tone of the Scoobies' success came across as constantly catching up with little steps. They knew nothing of their enemy ... and it showed. Willow getting captured and stealing the pages from the Books of Ascension helped the team more than they even realized. Without her, they wouldn't have known what was in the box, retrieved Faith's knife, or knew about Mayor Wilkins' extended life. Her capture served as a domino effect that benefited the team. Plus, we as fans got big developments for the story, which is great in my books. 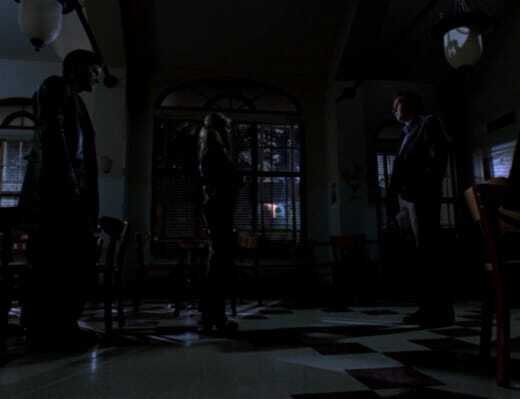 Though, nothing compares to the standoff at Sunnydale High. Their midnight meeting of the teams is one of the most iconic scenes from Buffy the Vampire Slayer Season 3. You have a highly intense exchange set in the middle of the night within the school. The mayor has his minions and leverage while the Scoobies will do whatever it takes to get Willow back. They're ready to turn on each other, but they've made a truce. And, we can't forget the arrival of Principal Snyder in his pursuit of the non-existent drugs. You know, the much-needed comedic flair. Come on, what more could you ask for? Obviously, the creatures within the box were all levels of creepy. If I were in this situation, I wouldn't want the box; keep it away from me. Give me all the bug spray. The reveal of the creatures had an underlining tone from the Aliens movie series. Think about it: tiny bug-like creatures moving along walls and attacking people's faces. On top of that, we have Buffy and Faith as our Ellen Ripley characters fighting the creatures. It melted my horror movie-loving heart. Ultimately, we know the deal was successful, and that the Scoobies won at the end of the day. But, Wesley also did have a point regarding the safety of everyone: the deal was a dangerous one. If the Scoobies had failed, everyone would've died as a result with a pureblood demon running around. Without the box, he could've never become the demon. As cliche as it sounds, Spock from Star Trek posed a good philosophical debate about the needs of the many outweighing the needs of the few. If you didn't know about the Scoobies' future success, the choice is a tough one. I bounce back and forth between both options. I wouldn't want to lose Willow, but saving the world involves a lot of tough decisions and many people would be affected by it. I would probably make a pragmatic decision at the moment. Another debate that came from the standoff involved Buffy and Angel's future together. Mayor Wilkins, in all his annoying fatherly glory, had a spot-on observation about their relationship. Eventually, Buffy would get older, age, and die while Angel stayed the same forever. They couldn't have the romantic life they imagined. As weird as it sounds, Mayor Wilkins did the best thing for these characters. It had to be their worst enemy for them to see how toxic their relationship truly was. Don't get me wrong, I like Angel and Buffy together, but unless she was willing to become a vampire or he found a way to be human, they had no future. We can also see examples now, like Elena on The Vampire Diaries and Sookie on True Blood, to see what could've been if Buffy went in both directions. 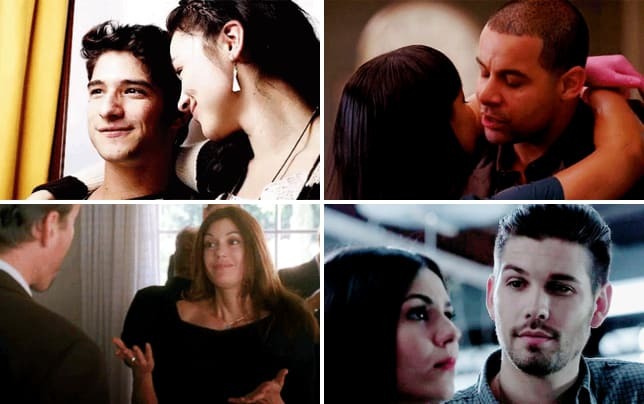 Even though they're still in the love bubble now, they'll eventually make the right decision. What did you think of "Choices"? What choice would you have made between Willow and the Box of Gavrok? Should Willow have gone to school outside of Sunnydale? Did you relate to Buffy and Angel's relationship denial? Want to join us in rewatching Buffy the Vampire Slayer? We'll be posting new rewatch posts on Tuesdays and Fridays. Come back here and share your thoughts in the comments.